We’ve always observed how important it is to stay critical when it comes to our approach to making coffee, and sometimes it’s examining the most ingrained details that can have the greatest impact. This was especially evident recently, when we started to reassess how we steam milk, and how that affects workflow, quality and consistency. In the past, we’ve always steamed enough milk for two, or sometimes three drinks, and then split them into smaller pitchers before pouring. This is pretty much standard practice across the industry, and you’re as likely to see it in a high volume speciality coffee shop as in a winning barista competition routine. The thinking behind this is that it’s quicker and more efficient to steam milk for more than one drink at a time. What we’ve always noticed though, is that splitting milk between more than one pitcher makes consistency harder to achieve. When you split milk, you’re attempting to divide the milk between two pitchers while maintaining a consistent milk to foam ratio between the two. This can be difficult to achieve because the foam rises to the surface and comes out faster than the milk underneath, so you often end up with your first drink foamier than your second. If your aim is consistency across drinks, this is problematic. This led us to question how much longer it would take us to steam all drinks individually. We were willing to take the hit on speed in order to benefit quality and consistency, so long as the different wasn’t too significant. We were surprised to find out that it was actually faster to steam them all individually. We did a series of tests, making 40 cappuccinos each time, half of them by splitting and half individually, and cut an average of 2 minutes off our time by steaming individually. We also noticed the added benefit of reducing our milk waste by up to 20%. We decided to implement this system across both of our locations. We were expecting some opposition from staff, who found it counterintuitive, but the benefits became obvious to everyone very quickly. We were remaking fewer drinks, our workspace was less cluttered, and we no longer had to plan how many drinks to steam milk for at a time. The whole process was simplified. One of the greatest unforeseen impacts it had was on staff training. At 3fe, we don’t always hire people based on how much barista experience they have, so we often train in new staff with little to no experience making coffee. 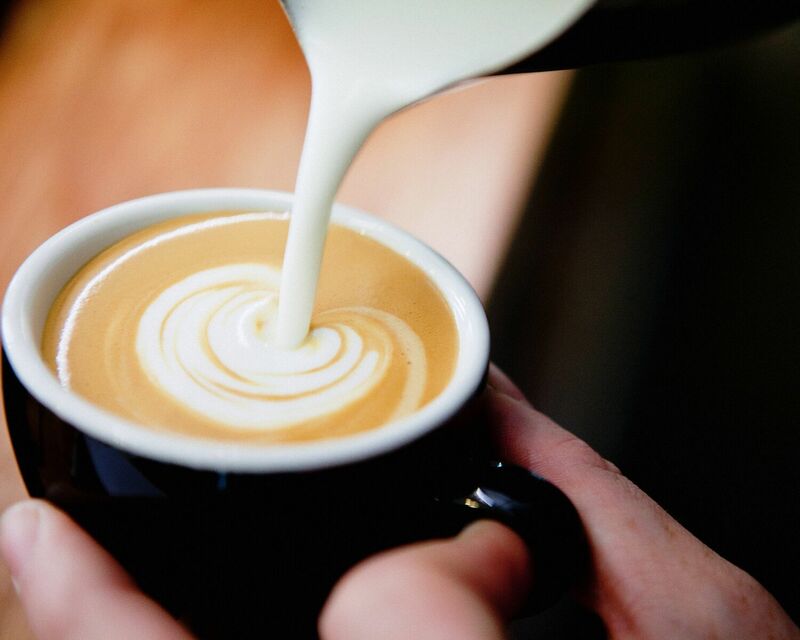 In the past, we would teach new baristas to steam milk in single pitchers first, and then, once they could do that reasonably well, move them onto splitting milk. Being able to split milk consistently and reliably was a prerequisite for working on bar in 3fe. If you couldn’t do it well, you weren’t going to progress. This meant lots and lots of practising before you ever made milk drinks for customers. Practising is expensive, because it takes time, coffee and milk. By eliminating splitting milk, the process of training staff becomes faster, easier and less expensive. Around the time that we implemented this system, we had hired two new members of staff, neither of whom had much experience making coffee. With the new system in place, neither of them ever had to learn how to split milk. Both employees progressed quickly, because they simply had to learn to steam and pour milk one way, in one size pitcher. Once you can make one drink, you can make ten with this system, so the transition from training to working on bar was quicker, and less stressful for our new hires. With so many advancements being made in coffee all the time, it’s funny to find that some of the most effective changes you can make are right in front of you.